Human Rights Activist News Agency (HRANA) – Prompted by his loved ones and a promise from authorities to transfer him back to Evin Prison, teacher and political prisoner Abdolreza Ghanbari has begun eating again after five days of hunger strike. Ghanbari had announced he was starving himself in protest of his forced transfer from Evin’s Ward 8 to Rajai Shahr Prison on November 10th. In a previous HRANA report on Ghanbari’s hunger strike, a close source remarked that the transfer seemed arbitrary. What was once a 10-year sentence for Ghanbari was increased to a 15-year term in September of 2017, per reconsideration proceedings led by Judge Moghiseh in Branch 28 of Revolutionary Court. After presenting himself to the Evin Prosecutor’s Office on October 13th of this year, Ghanbari was escorted to Evin Prison’s Ward 8 by security forces. 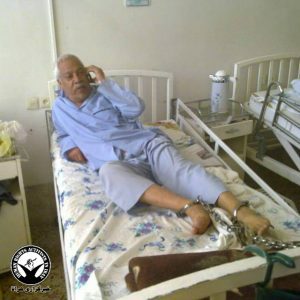 Human Rights Activist News Agency(HRANA) – Hatam Ertoghlu, an ailing 70-year-old prisoner of Turkish nationality, was transferred to the Urmia Central Prison clinic following an exacerbation of his cardiac disease. Ertoghlu has been on hunger strike since Friday, November 9th, when Iranian authorities welshed on their agreement to transfer him back to Turkey. Authorities have refused entry to a representative of the Turkish consulate who came to Urmia Central requesting to see him, a close source told HRANA. Currently held in Ward 4-3, Ertoghlu has been behind bars for the past nine years on drug-related charges. According to a close source, he has had multiple hospital admissions for various ailments, not least of which was a heart attack. Human Rights Activists News Agency (HRANA)- Civil rights activist and Evin prisoner of conscience Golrokh Ebrahimi Iraee has written an open letter to protest the IRGC’s continued medical blockade on her husband, Arash Sadeghi, who has been effectively deprived of chemotherapy since undergoing surgery for chondrosarcoma on September 12th. 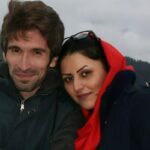 Authorities have offered no explanation for blocking visits and phone calls between me and my husband Arash Sadeghi. Since December 2017, the only contact we’ve had is a two-hour visit. And that was five months ago. I have heard many reports that Arash is faltering in his battle with cancer. 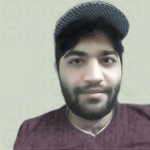 Only two days after undergoing surgery for his condition, he was harried out of the hospital against medical advice by the Sarallah IRGC [based in Tehran and responsible for securing the capital city]. Mal-equipped to counter the progression of Arash’s disease, the Rajai Shahr Prison clinic abdicated responsibility for his post-surgery care. Despite an infection to his surgery site, authorities have denied his request to be transferred to a hospital. 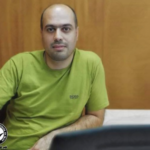 Specialists have stressed that the next stages of Arash’s treatment will require chemotherapy, and the state physicians in Gohardasht (Rajai Shahr) prison have asserted their inability to administer or monitor this treatment. No action has been taken to hospitalize him so that his chemo can begin. Arash has been detained multiple times. He lost his mother to a raid by regime agents. He was denied the right to continue his studies and has been stripped of his civil rights. Finally, he was sentenced to 19 years in prison without any proof or evidence [of a crime]. Now he faces the rancor and spite of the Sarallah IRGC. 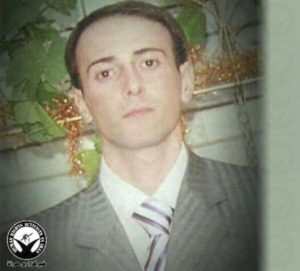 Arash is being denied medical care, one of the most basic rights promised to prisoners in the laws of the Islamic Republic. Throughout our prison terms, we never asked to be spared their spite, but this time Arash’s life is at stake. My worst fear has come true, and we are well past the tipping point; I don’t know to what extent Arash’s health can be restored. In the present circumstances, laws that profess to protect prisoners are unveiled as masks of humanity, a farce for the international stage. Despotism can no longer contain the true motive of these laws, which rulers make no effort whatsoever to enforce. We cannot expect humanity from those who have already proven devoid of it. What matters is the fleeting sands of time, the dissipating moment, the joy that seems a more distant dream each day. I am certain that with each display of callousness towards his health, Arash will be all the more emboldened. He will do as he has done with every other injustice, coercion, and anguish: he will overcome. I thank every friend and organization standing shoulder to shoulder with us, and am grateful for the dear comrades who have stood by Arash in Gohardasht. May conscience break dawn on the dark night of ignorance. Golrokh Iraee was arrested along with her husband on September 6, 2014. First held at an IRGC safe house for two days, she then spent 20 days in the solitary cells of Evin’s Section 2A, under IRGC jurisdiction, before being released on a bail of 800 million rials [approximately $19,000 USD]. On October 24, 2016, the IRGC arrested Iraee again without a warrant. She was sentenced to six years in prison for blasphemy and “gathering and collusion against the regime.” She was later granted amnesty per Article 134 of Islamic Penal Code, which reduced her prison term to 2.5 years. Iraee’s husband Arash Sadeghi is serving a 19-year sentence in Karaj’s Rajai Shahr Prison. Human Rights Activists News Agency (HRANA) – In Rajai Shahr Prison, the effects of a 49-day-strong hunger strike have begun to take hold on Sunni prisoner Hamzeh Darvish: hypotension, a 29-pound weight loss, and chest and abdominal pains that have left him speechless. A source close to Darvish’s family told HRANA that he would end his hunger strike on two conditions: that his reconsideration petition is tried in the Supreme Court, and he is granted legal representation. “No action has been taken on those demands yet,” the source said. Hamzeh Darvish has not eaten since September 23rd. After announcing his hunger strike that day, he was reportedly held in solitary confinement for three days. 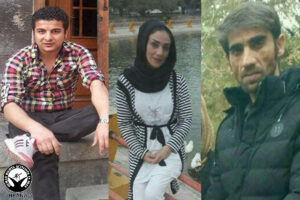 Residing far from Karaj, Darvish’s family is rarely able to afford the transport costs to see him. Meanwhile, Rajai Shahr authorities have placed restrictions on his extra-prison contacts. 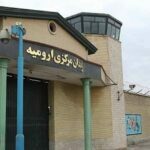 In response to a prior hunger strike — protesting a lack of due process in his judicial proceedings — Prison Director Gholamreza Ziaei, Rajai Shahr Deputy Vice President Esmaeili, and Security Director Zolfali beat Darvish black and blue, sent him to the quarantine ward for three weeks, then transferred him to the coroner’s office in handcuffs and shackles. Hamzeh Darvish was reportedly lured to Syria by ISIS (Daesh) agents in 2014, where he was transferred to the Islamic State’s prison in Raqqa before fleeing to Iran. In hopes of remaining free by posting bail or pledging allegiance to Iran — after which he planned to earn a living as a quail farmer — he turned himself in to the Iranian security forces. A short while later, however, he was back in custody facing an 18-year prison sentence. Darvish told his story in an open letter published August 2017, in which he asked human rights advocacy groups for help. 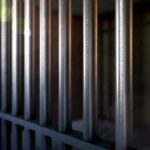 He emphasized in his letter that his appeal request was essentially ignored and that Article 134 of the Islamic Penal Code permits his release in year 15 of his 18-year sentence. 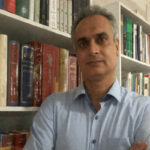 Human Rights Activist News Agency (HRANA) – Teacher and political prisoner Abdolreza Ghanbari, who on October 13th of this year was taken to Evin Prison’s Ward 8 to serve the remainder of a once-dormant sentence, has reportedly declared hunger strike following his November 10th transfer to the Quarantine Ward of Rajai Shahr Prison. Confirming news of Ghanbari’s current hunger strike to HRANA, a close source added that his most recent sentence made no mention of an exile order. Ghanbari’s judicial ordeal has been rife with major upsets, as previously reported by HRANA. After being arrested at the school where he taught in 2009 for backing the “Ashura” protests tailing that year’s contentious presidential elections, he was interrogated for two months and found himself facing a death sentence: Judge Salavati of Revolutionary Court Branch 15, convicting Ghanbari of “Moharebeh” [enmity against God]” through alleged ties to the opposition group People’s Mujahedin of Iran (MEK), ruled to send him to the gallows. Four suspenseful years later, the Supreme Court acquitted Ghanbari of the Moharebeh charge, effectively sparing his life. Branch 1 of Revolutionary Court settled his remaining charges with a 15-year prison sentence, which was later reduced to 10 years in appeals court. 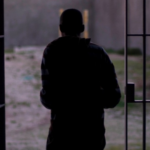 After enduring more than 6 years of his 10-year prison term, he went free in the Spring of 2016 — only to be re-sentenced the following Fall to 15 years in prison, per reconsideration proceedings led by Judge Moghiseh in Branch 28 of Revolutionary Court. Ghanbari is currently detained in Rajai Shahr. 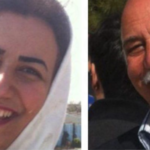 Human Rights Activists News Agency (HRANA) – Authorities have granted a November 7th to November 10th furlough period to Baha’i prisoner Azita Rafizadeh, who will attend memorial services for her father, Seyed Yadollah Rafizadeh, who recently died in a car accident. Azita Rafizadeh is serving a four-year sentence for her Baha’i affiliations, including the Baha’i Institute of Higher Education, as well as a charge of acting against national security. The furlough request of her spouse Peyman Koushk-Baghi, who is currently serving a five-year sentence on the same charges, was denied.